With The Drain Camera Shop, you won’t need to worry about poor service or poor quality equipment. We combine user-friendly and state-of-the-art pipe crawler robots with great service. Our customers come first when we choose what equipment to offer. We’ll discuss your unique needs and help you choose the robotic crawler pipe inspection system that’s the right fit for your situation. 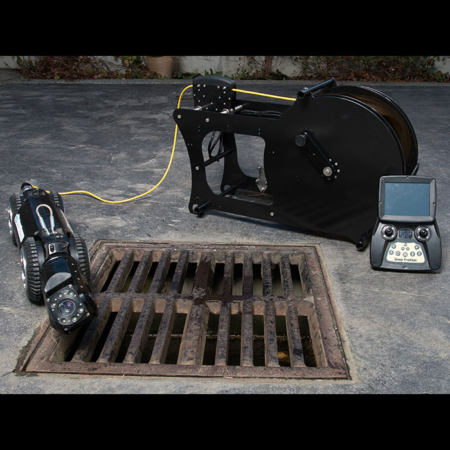 Easy to Use: Working with the user-friendly sewer inspection crawlers on our roster makes work effortless. Powerful and Rugged: We offer designs that withstand the worst sanitary and storm drains. 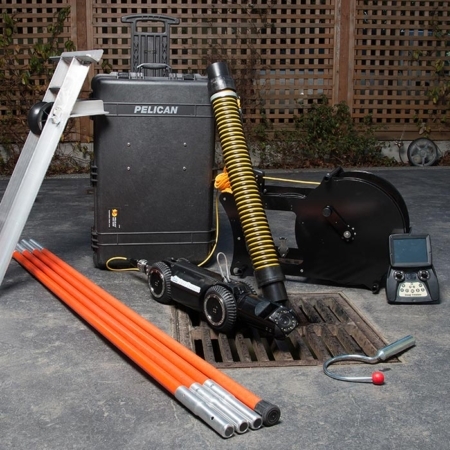 Dependable: The sewer crawlers robust design make them dependable for the toughest jobs around. Training and Demos: We offer training and demos to make sure your equipment is exactly what you need and that you know how to use it. Flexibility to Customize Equipment: We can customize packages to suit your unique needs. Flexible Financing: We help our customers by offering easy payment options. Local Servicing: You won’t need to send equipment away. We have service centers throughout Western Canada and the United States. Fast Turnaround Times: You can get back to work with short turnaround times thanks to our local and personalized service. Support After the Sale: You don’t disappear after a sale, and neither do we. We’ll be there to support you and your business when you need us. Call today and talk to our amazing staff to learn more about sewer push cameras! Our staff is among the most knowledgeable in the industry. From small business owners to corporate owners, to city workers; our staff is ready to answer your questions and find the best solution for your needs. 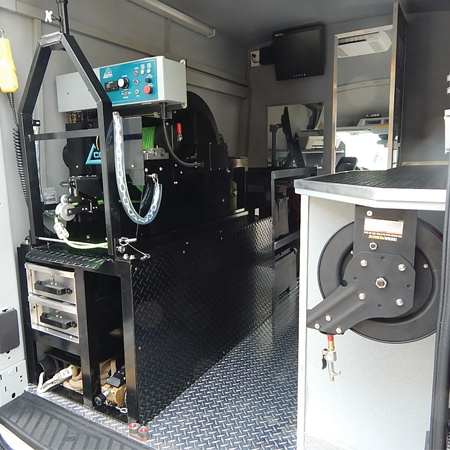 The IRIS Mainline Camera (Integrated Remote Robotic Pipe Camera Inspection System) combines portability with a user-friendly interface. 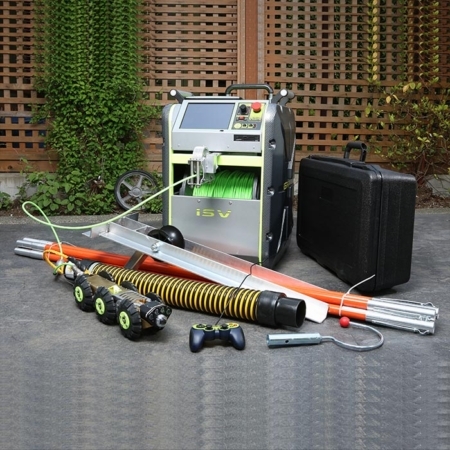 It’s one of the most advanced, yet affordable sewer video inspection cameras on the market. The IRIS can increase your productivity, and help you serve your clients better with a high-resolution inspection. The IRIS uses an operating system you’re likely familiar with, Windows 7. Work quickly with a fast bootup, and record freely using the 500 GB of internal memory. Inspect different angles with the IRIS’ pan and tilt option while its’ motorized reel with built-in auto-feed saves you time. Without a doubt, the IRIS’ superb design will help you perform high-quality inspections quickly. Learn more about the IRIS’ features. Deep Trekker’s innovative DT340 Pipe Crawler features a portable and battery-operated design that’s also submersible in up to 50 m (160 ft) of water. This crawler system comes in only two carrying cases that you can set up from anywhere in under 5 minutes. 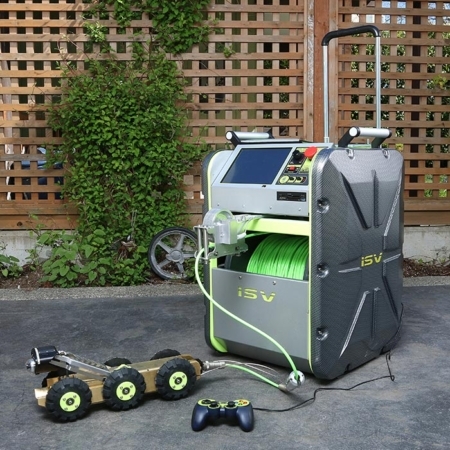 Its lightweight handheld console and pivoting tether connection will make your pipe inspections easier. You won’t need dedicated trucks or complex systems to operate the DT340. The handheld controller allows you to adjust your speed or set cruise control easily. For portability, and a great all-around design, look no further than the Deep Trekker’s DT340 Pipe Crawler. Learn more about the DT340’s features.